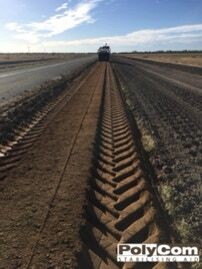 These road shoulders on a sealed road in rural Tasmania have received an application of PolyCom Stabilising Aid. One of the main causes of shoulder failure and erosion on sealed roads is water ingress. By applying PolyCom to the in-situ materials, the council road crew is increasing the strength of the material and enhancing the water resistance of the materials prior to resealing. As PolyCom does not require &apos;curing time&apos; as such, the road can be resealed without delay, and re-opened to traffic in a short space of time. 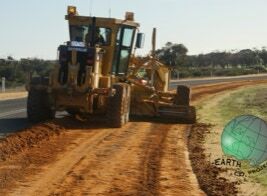 Images above of road maintenance shoulder projects in Australia using PolyCom Stabilising Aid.